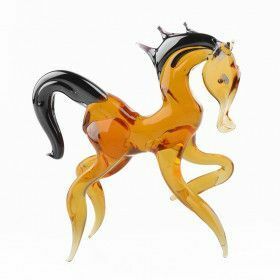 We feature one of the largest collections of Glass Figurines around. 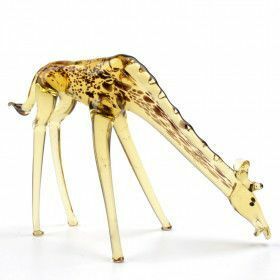 Dog glass figurines, elephant glass figurines, giraffe glass figurines, cat figurines, horses, insects, fish. 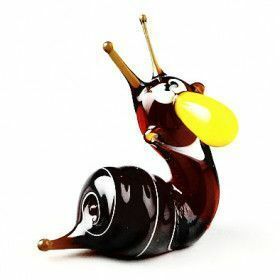 You name an animal and we're sure to have something for you in our huge glass figurine collection. 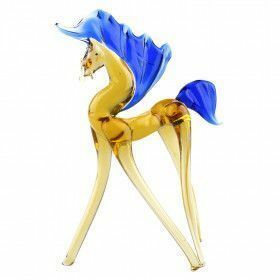 All of our figurines are hand-blown in St. Petersburg Russia. 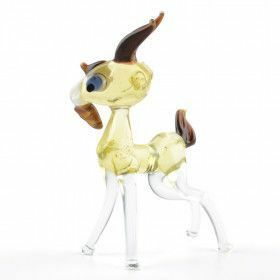 What's So Special About our Glass Figurines? 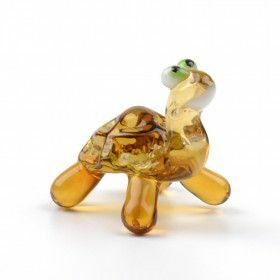 There's something just elegant about glass, maybe it's the delicate nature of it, maybe it's the care that it takes an artisan to create a work of art out of it, maybe it's the way it makes light bounce around, maybe it's the way it glows, and emanates a warm feel when it's sitting on a sunny window, we've importing glass from St. Petersburg for many years, and still we can't quite put our finger on it, and we're constantly coming across new customers, with interesting stories of why they love our figurines. Do you know how glass is made in Russia? 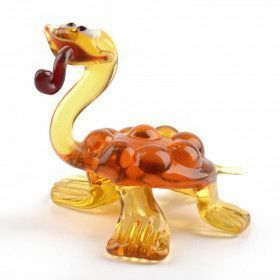 Glass has a long and storied history around the world. It occasionally occurs naturally, usually in the case of lightning hitting a sandy beach, or around a meteorite impact, or near a volcanic eruption, but a little over 5000 years ago mankind began to understand the science behind its creation, and it has harnessed that knowledge to create beautiful works of art. 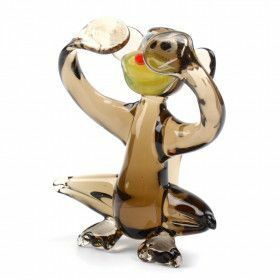 The name Russian glass carries with it certain clout, and esteem, it's almost synonymous with quality, but what makes Russian glass so great? 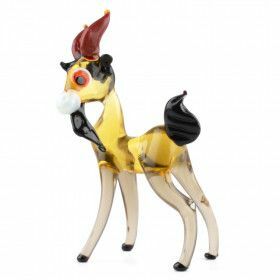 Why are these imported figurines from St. Petersburg better than the others? Especially now, when glass has become so readily available. Well the answer lies in a tradition of excellent yet to be surpassed. 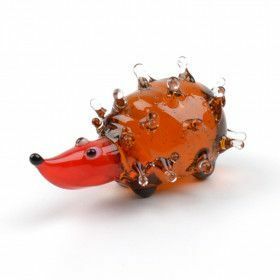 Around roughly 1,000 AD in what cities scattered throughout Russia, and what is now modern day Ukraine, glass workers not only perfected the art of glass blowing, but they came up with the perfect ingredients, pigments, and methods to make their glass more colorful than anyone else. 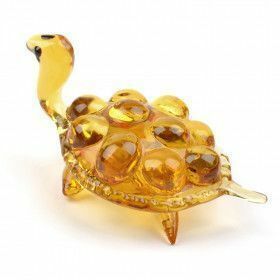 To quote Dwight P. Lanmon, director of the world famous Corning Museum of Glass in New York City, “'There is one aspect of Russian glass that separates it from the rest of the world, they used more color earlier than anywhere else. You get brilliant green, brilliant red, brilliant blue, brilliant purple and opaque white.” This knowledge of color has been passed down throughout the generations of Russian glassblowers and remains to this day; modern technology helps speed up the process, but generational knowledge assures the process will lead to perfection. 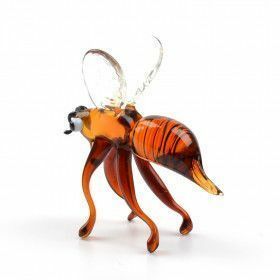 Though knowledge is more readily available now, Russian craftsman still have a thousand years on the competition, knowledge of glass, how to shape it, how to color it, is in their blood. 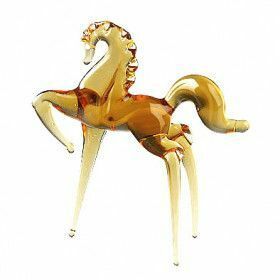 Compare some of our imported glass figurines to other competitors, and you'll see, in plain color, that ours are the best around. 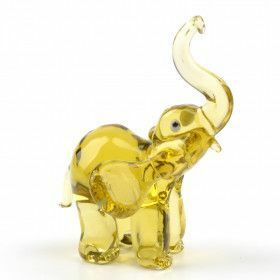 Set it on a window sill, or on a shelf, and when the sunlight catches the trunk of that glass elephant, or the neck of that glass giraffe figurine, you'll realize that Russian glass truly benefits from its long past! 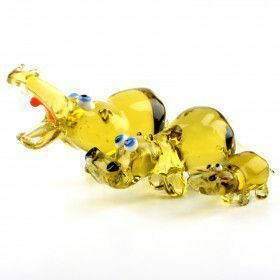 Come check out our blog to see some Russian Glassblowers at work! 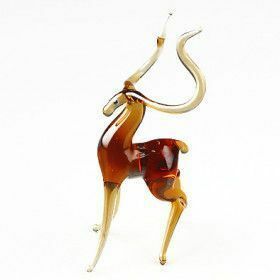 Do you want to know the uses for our Glass Figurines? 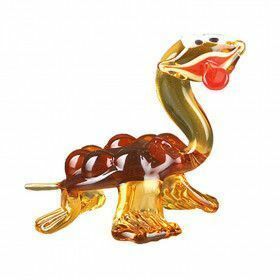 Now that you know a little something about why Russian glass is special. 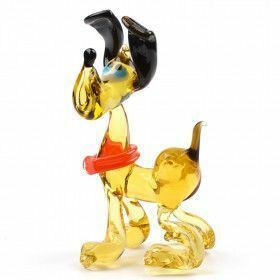 What can you really do with a figurine? Well for one you can marvel at the detail, and elegance of each piece. 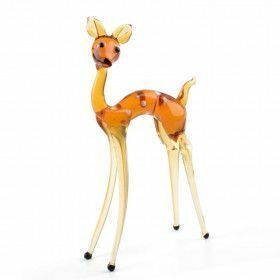 These items are after all decorative pieces, and what better way to lively up a room than having a venerable zoo of glass figurines sitting on display? 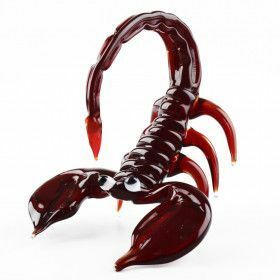 From vibrant reds, to light and airy blues, whatever color scheme you're going for, there's sure to be a figurine that can accent, or compliment it. After all, it's those little touches in every room that really give it the charm, coziness and comfort of a home. 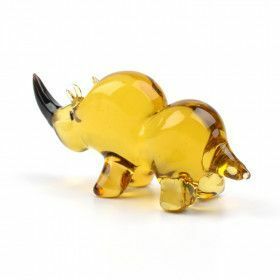 Something about the elegance of glass, along with the luminosity of these colors, and the shape of an animal really warm up the atmosphere in a room. 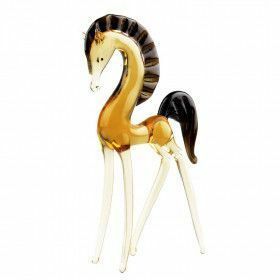 The beautiful thing about these figurine is that they're relativity small, most of our pieces are under 6 inches, so they won't over power any kind of décor you're aiming for, but they'll add that certain something intangible that just makes everyone more at ease. 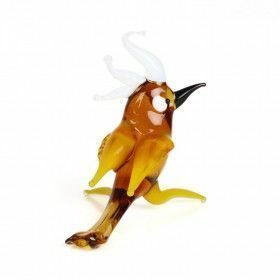 There's just something comforting at seeing a little glass penguin sitting on a desk, it's a subtle touch that makes everything seem a little friendlier, a little happier, a little less “cold” - which is somewhat ironic, in the case of a penguin figurine anyway. We can't put our finger on it, but we like it, and apparently so do our customers. 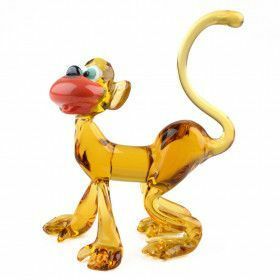 How unique are our Glass Figurines? 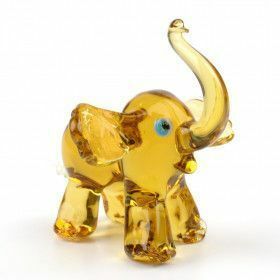 We'd like to take a second to emphasize the word unique for a moment, since each of these figurines is hand-blown, and hand-crafted one at a time, each piece of glass winds up having its own distinct personality, no two are a like; in a time when mass production leaves most things feeling a little soulless, we're proud that our artists in St. Petersburg do things the old fashioned way, we think it gives our glass figurines their own character, and adds a sort of charm that certain gifts nowadays are missing.